Heat the ghee in a kadhai, add the cloves, cardamoms and onions and sauté for 2 to 3 minutes till the onions turn translucent. Add the prepared paste and sauté for another 2 to 3 minutes. Add the salt, pepper, milk and ½ cup of water and bring to boil. Add the paneer and simmer for 2 minutes. The dish is ready to serve with your choice of bread. 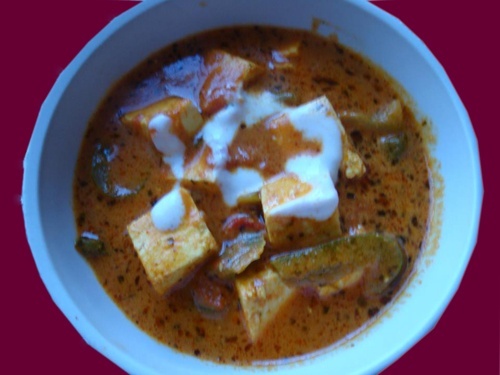 This entry was posted in Paneer/Cottage Cheese and tagged Quick Food by Kamakshi. Bookmark the permalink.